Eleven months ago, I had the privilege of traveling with Mel Brenner to Rhode Island for the reunion of the 87th U.S. Infantry Division in which he served during World War II. The trip was an uplifting experience that afforded me the opportunity to get to know in a deeper way than I ever had before my favorite uncle from childhood—a warm, funny, charming and inspirational man who heartily enjoyed myriad aspects of life while dedicating himself to making the world a better and saner place. Sadly, Mel succumbed to cancer at the end of May (see obit from Newsday) and on Thursday June 27, I took part in his memorial service at the Jefferson’s Ferry Retirement community where he lived his last three years. The event, which drew well over 100 people, was a bittersweet and uplifting celebration of Mel’s life, with much laughter and love mixed with a great sense of loss that also brilliantly channeled his uniquely eclectic essence. For this, Mel’s three daughters, Janis Brenner, Amy Schettini and Leslie Brenner, and Janis’ husband Mitchell Bogard, who devoted weeks to the putting together of the complicated multi-media production, deserve great credit. The event included a moving dance performance by Janis entitled Where-How-Why Trilogy, which seemed go head-on at the great existential issues of life, love and death; an acapella performance of one of Mel’s favorites, Cole Porter’s “I Get a Kick Out of You” by Michelle Rosen, a lifelong friend of Janis’ who used to sing folk songs with her as teenagers back in the late ‘60s; and remarks on Mel’s life by family members and close friends, including Mitchell, Janis, Sid Wenokor, Leigh Steinman (Leslie’s daughter), Amy Schettini, Daniel Schettini (Amy’s son), Elaine Rosler, Orrin Dow, myself and Leslie Brenner, followed by presentation of a comprehensive and inspiring photo-montage video on Mel’s life, which will hopefully be presented on this forum as well. Mel’s beloved wife Sandy who sat in the front row in her wheelchair, was not well enough to speak, but she appeared deeply moved by the event and profoundly consoled by the coming together of family and friends to celebrate Mel’s life. A few things came up at the memorial service I hadn’t known about Mel. One was that he had created a rich lode of stories about two vaguely leprechaunish boys named Alfie and George who lived under a mailbox, which he used to entertain his children and grandchildren as they were growing up. Listening to Amy, Leslie and her daughter Leigh share memories of those stories gave one a poignant sense of how Mel transmitted a sense of joy and wonder to small children, as did a retelling of some of Mel’s favorite jokes in spot-on fashion by 11-year-old Daniel Schettini, who brought to the performance the polish and precocious savoir faire he has acquired as a child actor in LA. Another highlight was Leslie’s reading of a list Mel compiled on his 75th birthday of what he had learned in life ranging from the tongue-in-cheek (“numbering your white socks ensures equality and fairness” or “push ‘print’ if you expect a computer to reproduce what is on the screen”) to the profound (“watching the sun rise over the Atlantic Ocean and seeing the bluefish jump is one of life’s great experiences”) and something he learned all-too-literally at a young age (“when the bullets are coming at you, stay very low”). In the poignant remarks of Amy, Leslie and Janis and the grandchildren, the portrait of Mel that emerged was of a Renaissance man who, even after his early retirement from his teaching career in his mid-50s, stayed busy and engaged with the world through involvement in good causes like building the Democratic Party in Nassau County and protecting basic constitutional rights for present and future generations through his leadership in the Long Island chapter of the American Civil Liberties Union. Yet Mel also took the time in Leslie’s words “to sit back and just be,” deeply enjoying the things in life that made him happy—whether it was riding his bike several times across France and England, fishing on the south shore of Long Island, savoring Dixieland jazz and the Weavers, or whittling walking sticks and whimsical creatures from wood that many of his family and friends (including me) attached to their car dashboards as good-luck talismans. And of course, Mel enriched countless lives by sharing his joie de vivre with everyone around him, first and foremost, with his beloved family. BRENNER- Melvin Charles ("Mel"), 87, passed away on Thursday, May 30, 2013 surrounded by his loving children. Born in The Bronx, NY to the late Sarah Ellenbogen and Michael Brenner, he spent his early years in Bridgeport, CT before moving to Brooklyn. As a teen, he took great pleasure in serving up the perfect egg cream from behind the soda fountain in his parents' candy store. He was a graduate of James Madison High School. He obtained the rank of Staff Sgt. in the U.S. Army in World War II with the 87th Infantry Division, 345 Regiment. Seven months of combat in Europe included the Battle of the Bulge, and Siegfreid Line--ending up on the Czech border May 8, 1945. He is a recipient of the Bronze Star. The war experience informed much of the rest of his life, and he worked tirelessly for peace and social justice. Participating in the 87th Infantry Division Association reunions meant a great deal to Mel over the past 10 years, as he was reunited with his lifetime friends. After the war he attended NYU, obtaining an MA in the Social Sciences in 1951. He taught in the NYC school system for nine years. He had been married to Sandra (Klein) Brenner for just shy of 60 years. They met in NYC and settled in North Massapequa in 1960, where they raised their three daughters. He taught high school social studies throughout his career at Plainview-Old Bethpage JFK, attaining Department Chairman in 1971. While teaching became one of his great passions, he proudly told people that he chose the profession in order to be on the same schedule as his children, thus being an integral part of their childhood. And he was a true champion of his daughters, lovingly supporting their interests and efforts every step of the way. The family embarked on many memorable road trips throughout the U.S.
Mel was a founder and past president of the Farmingdale-Bethpage Historical Society. He was a founder and past president of the New York Civil Liberties Union-Nassau County Chapter, sitting on the Board of Directors for several decades. Always active in local and national politics, he was a candidate for the New York State Assembly in 1970, and a delegate to 1972 Democratic Convention in Miami, FL. He retired in June 1981, which enabled him to pursue his love of travel. This especially included bicycling throughout Europe with different close buddies (which he did on 9 separate occasions; France, Holland, England) resulting in subsequent fascinating, informative, entertaining and always educational professional slide presentations. He and Sandra explored Alaska, Costa Rica, Trinidad, Tobago, Greece, Sicily and Hawaii. They spent many winters in Florida following her retirement in 1991 where they enjoyed kayaking and birding in the quiet of the bay, as well as theater and dining out with friends. He swam competitively in the Senior Olympics there, earning both gold and silver. Mel had many close, lifelong friends. 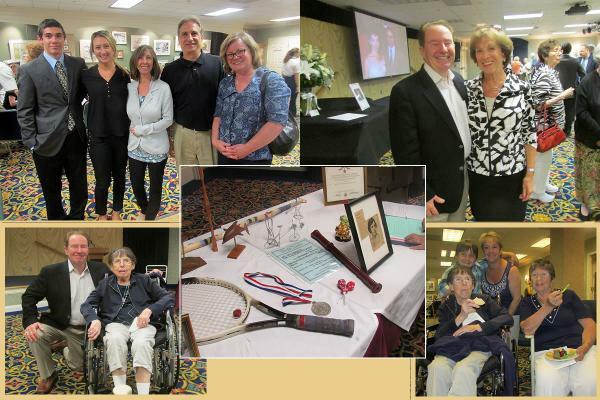 A physically fit and active man, Mel loved the game of tennis, continuing to play throughout his life. With almost equal enthusiasm he enjoyed fishing, biking, wood carving, gardening (especially planting the green peas each spring) and reading. He was a huge fan of Dixieland jazz, Woody Guthrie and Ella Fitzgerald, a politically astute speaker, and a modern-day Renaissance man. He brought these traits with him in the move to Jeffersons Ferry Retirement Community in South Setauket, where he and Sandy relocated in the summer of 2010. New meaningful friendships developed, and Mel left a remarkable imprint on a great number of people in a short span of time. Surviving family include his wife, Sandra; daughters Janis Brenner and husband Mitchell Bogard of NYC; Amy Schettini, husband, Frank, and son Daniel, of Long Beach, CA; and Leslie Brenner and children Leigh and Frank Steinman of Portsmouth, NH; brother-in-law, Alan and Mary Ellen Klein of Homewood, IL, and a niece, nephews and cousins. He was predeceased by his sister, Miriam Goldman. To make a donation in Mel's honor, please select a charity of your choice, or an organization he supported: ACLU's NYCLU Chapter, Southern Poverty Law Center, or the National Museum of the U.S. Army. In any case, what I would propose for family reconnection and bonding purposes would be to take a page from Mel’s 87th U.S. Army Division and hold a 2013 Ruby-Felenstein-Brenner reunion in some lovely spot somewhere. Those who can’t make it physically could be streamed in via Skype. All generations should be represented, so members of the younger generation would be coerced by all manner of arm twisting, guilt tripping and/or vague promises of financial reward to show up. This would be Ruby-Felenstein-Brenner families in the broadest sense of the word, encompassing spouses and their families, stepchildren, and anyone else in our extended circles who would like to attend and share stories and memories. We could have all manner of historical discussions, photo sharing and group therapy sessions, etc. and emerge after a long weekend, uplifted and transformed, and with enough material to keep Danny busy for decades to come on the Ruby Family History blog! This picture below from my jaunt to Naragansett Beach is symbolic of Cousin Love and the pheonix-like return of the Ruby-Felenstein-Brenner connection.